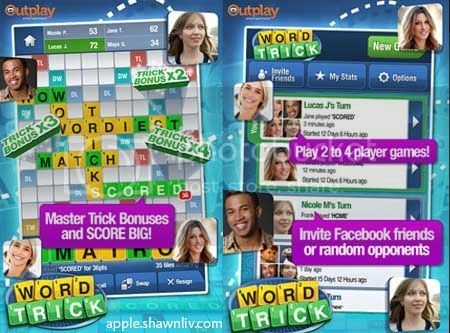 Word Trick is a classic word game with a totally addictive twist! Rack up your word scores by matching special green TRICK TILES anywhere on the board – no two games are ever the same. With 2 player, 3 player and even 4 player games, there are even more opportunities to play with friends, family and wordsmiths from all over the world.